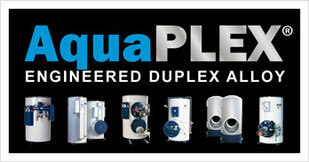 AquaPLEX® is a revolutionary material used in the fabrication of potable hot water storage vessels and water heaters. A vessel fabricated from AquaPLEX provides the longest possible service life in a potable hot water application available at a reasonable cost. Standard Warranties up to 25 years. 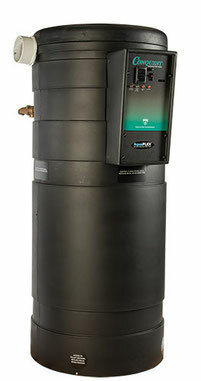 Compact, Double-Wal, Instantaneous Steam Water Heater. 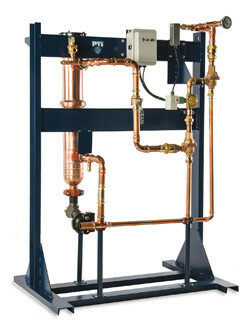 For More Information Visit PVI at http://www.pvi.com/products/water-heaters/cobrex-steam.html. CONQUEST is a small footprint, fire tube, condensing storage water heater featuring a submerged combustion chamber and spiraled array of fire tubes fabricated entirely from AquaPLEX.